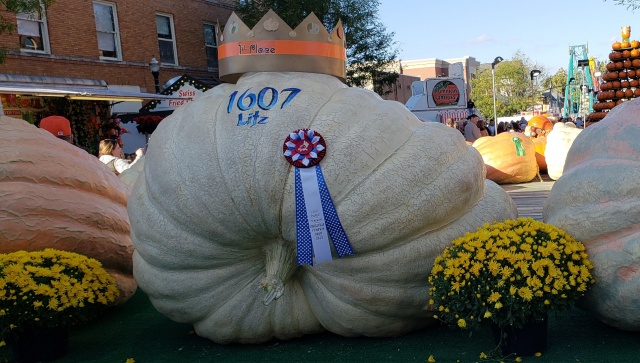 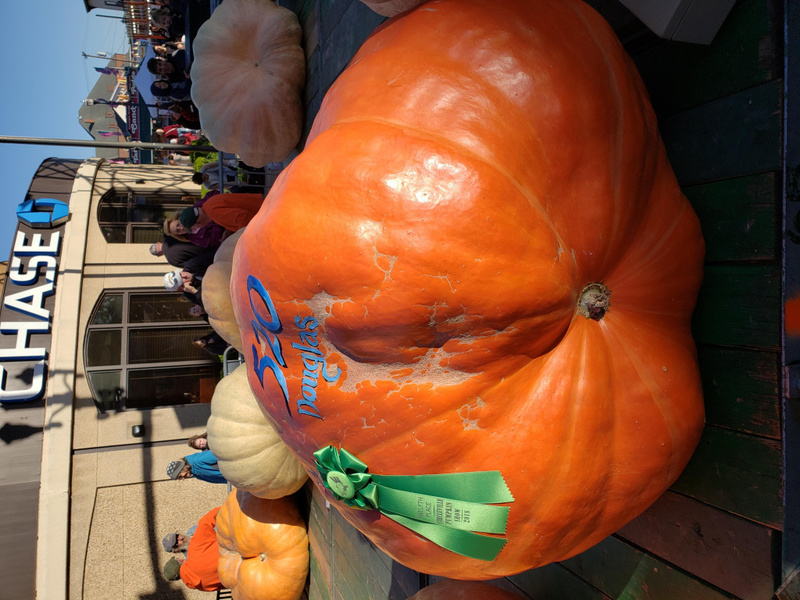 A second-year grower came in first place in the 2018 Pumpkin Show Giant Pumpkin contest. Mark Litz of Circleville won the field with his 1,607-pound monstrosity. 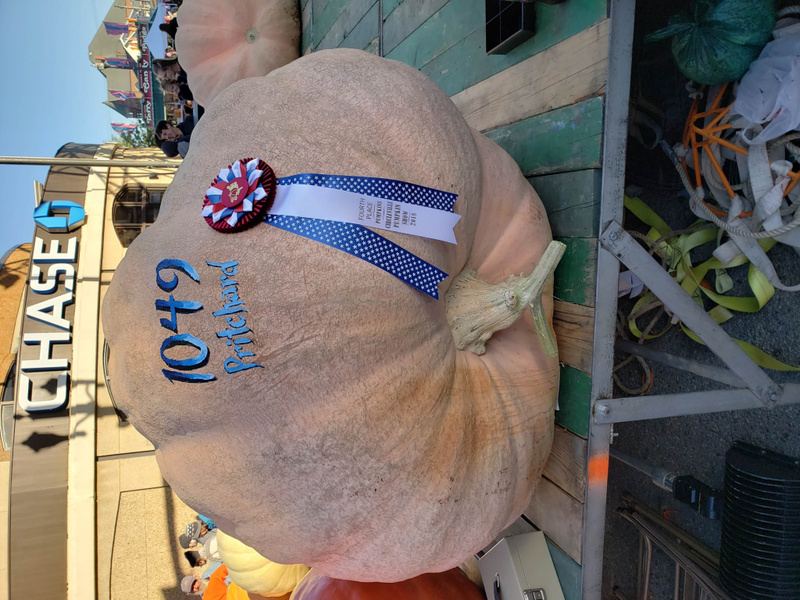 Although massive it was smaller than last year’s winner, which weighed in at 1,701 pounds. 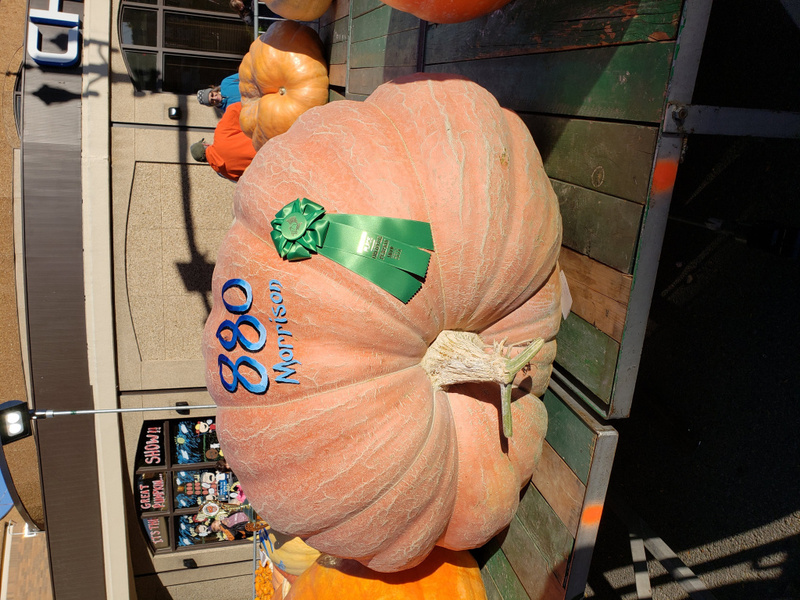 The 2nd place winner weighed in at 1,548 pounds, and was grown by Bob Brown. 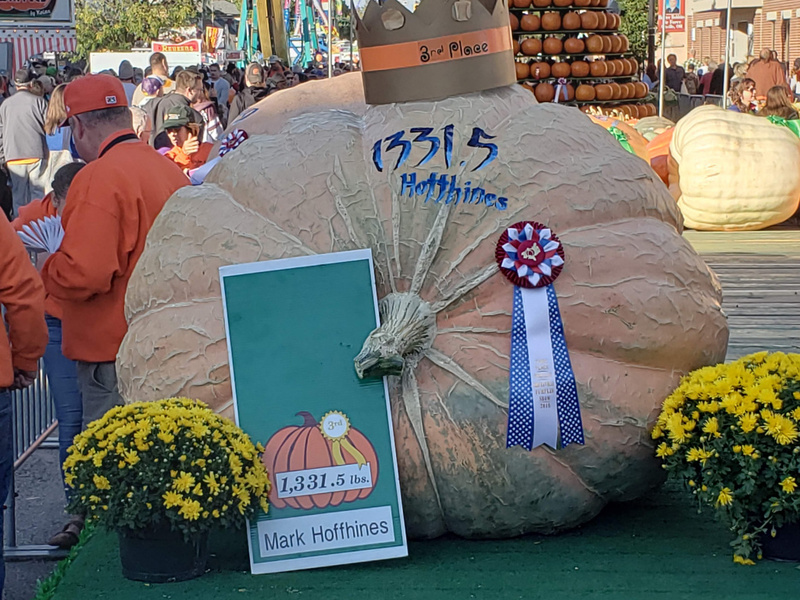 3rd place registered at 1,331.5 pounds and was grown by Mike Hoffhines. 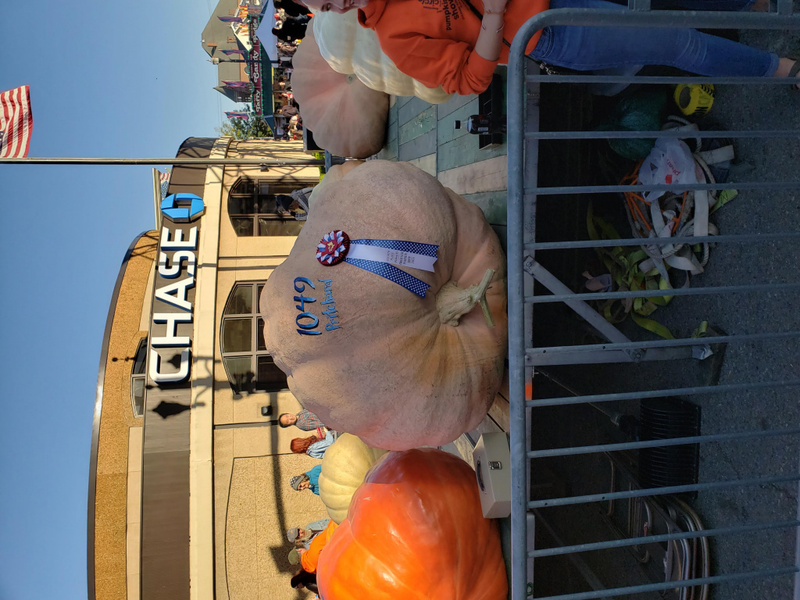 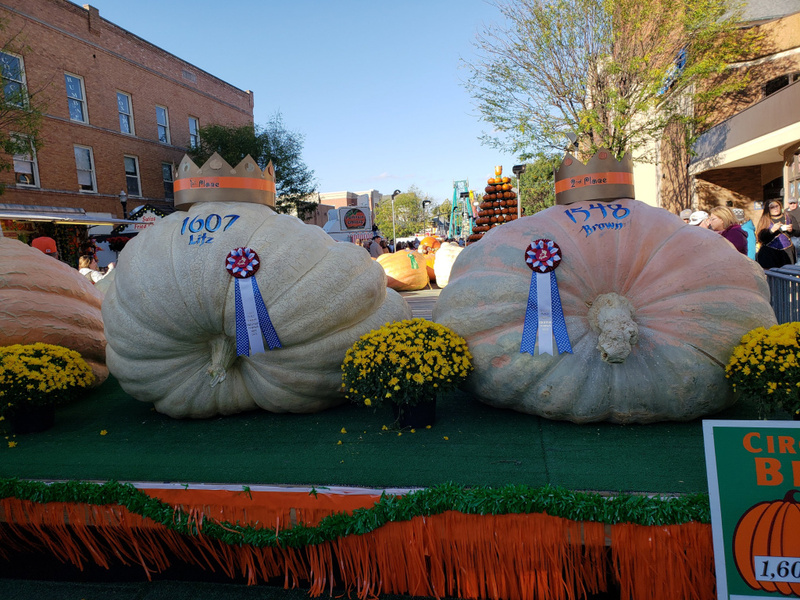 John Pritchard won 4th place and also the 5th place with two pumpkins at 1,049 and 958 pounds, respectively.